Highlights include: Explanatory Notes on Major Changes in the 2014 Budget relative to 2013, an Overview of Fiscal Performance 2013, a Synopsis of Major Projects Undertaken in 2013 and the Budget Forecast 2014. 1. Provision for all Personal Assistants to Ministers and Driver/Security was transferred from the respective ministry to the Capital Budget under a new Programme called, Strengthening Parliamentary Representation. Additionally, provision for Constituency Allowances, which was previously provided under the Recurrent Budget of the Houses of Parliament, was transferred to that Programme. 2. Some allocation under the Category Professional Services was transferred from the respective Ministry/Department to the relevant Programme under the Capital Budget. 3. All allocations under the Division of Local Government, Ministry of Communications, Works, Physical Development, Public Utilities, ICT & Community Development were transferred to a Programme called Markets and Abattoirs under the Capital Budget. Provision for all festivals was transferred to a Programme called Festivals, in the Capital Budget; as is the case with Carnival. This Vote was renamed Retroactive Payments, to be able to facilitate retroactive pension payments, as well. 1. In 2013, Government’s fiscal situation remained extremely challenging. 2. At the time of the 2013 Budget Presentation, Government faced a budgetary gap of approximately $18.0 million per month with estimated revenues of $35.0 million and expected expenditure of $53.0 million. As a first step to address this structural problem, Government announced for implementation in its 2013 Budget a number of fiscal measures to boost revenues and to reduce the size of Government. Furthermore, Government gave its commitment going forward, to take the bold and difficult decisions that are necessary to put the Nation’s fiscal house in order. 3. That said, the already difficult fiscal situation was made even more difficult as Government instead faced a significant shortfall in its revenue collections. Grant receipts were also much lower than anticipated. On the expenditure side, while there was some success in reducing non-personnel expenditure, Government did not achieve the desired level of savings it anticipated. Additionally, Government was only able to successfully negotiate a partial deferral of retroactive salary commitments that became due in 2013. 4. Capital spending was again seriously affected by the limited resources available to fund the budget as well as delays in implementation of some major projects with secured funding. 5. Relative to 2012, the primary balance after grants deteriorated by 22.5% to $39.3 million or 1.7% of GDP. The overall deficit also worsened by 13.9% to $108.8 million (4.9% of GDP). 6. Notwithstanding the challenging fiscal and financial situation faced during 2013, Government was able to meet critical payments, including wages and salaries, debt payments to facilitate ongoing projects and ongoing social safety net programmes on a timely basis. 7. Although economic activity expanded in 2013, the impact on revenues was minimal as the economic activity was driven mainly by concession related construction activities. Added to that, the implementation of a key revenue measure – the Citizenship by Investment Programme – was delayed. Department fell short of target by 10.5% and 7.5%, respectively. On a tax by tax basis, most major taxes performed well below expectations. Corporate Income Tax and Property Transfer Tax, in particular, were significantly below budget by 23.5% and 41.2%, respectively. There were a few bright spots, however, as Personal Income Tax and Annual Stamp Tax were slightly better than budget. 11. An analysis of the largest tax contributor, the VAT and Excise Tax, showed that collections were below budget by $7.6 million and slightly lower than collections during the previous year. 23. This is an ongoing project which covers mainly de-bushing works on the nation’s road network while at the same time providing income support for poor and vulnerable families. A total of $12.2 million was spent in 2013. An allocation of $10.0 million has been made for the continuation of this Programme in 2014. 24. The Youth Upliftment Programme was revamped and rebranded the New IMANI Programme in 2013. The new Programme is designed to empower young people through training and education, preparation for the world of work and involvement in the promotion and development of our cultural heritage. The programme is supported by an administrative arm. A total of $16.1 million was expended on this Programme in 2013. The Government plans to significantly expand this programme in 2014 to cater for some 3,000 young people. An allocation of $30.1 million is provided. 25. This project, funded by the World Bank and Government of Grenada is aimed at facilitating the training of youth and unemployed persons in marketable technical, vocational and life skills for key sectors of the economy including Construction, Hotel/Hospitality, Agriculture and Marine. 26. This multi-sectoral project is jointly funded by the World Bank and the Climate Investment Fund to the tune of $70.7 million. The aim of the Project is to reduce vulnerability and risk through a number of initiatives, including through institutional strengthening and improved public building infrastructure. An allocation of $9.0 million was expended on this Project in 2013. 28. This Programme was launched in 2013 and is designed t to support the expansion and improvement of health services to the communities and by extension, the Country as a whole. The Programme aims to achieve this by providing a basic level of health services at the community level and extended hours of operations. A total of $1.1 million was expended on this Programme this year. A budget of $2.0 million is allocated for the continuation of this Programme in 2014. 29. 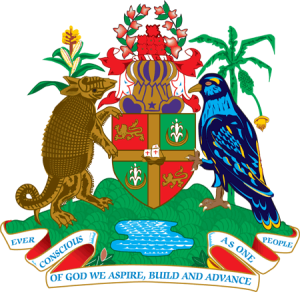 This project which is jointly funded by the Government of Grenada, PetroCaribe (GDA) Ltd and the World Bank (on a reimbursable basis) is designed to assist the Government to facilitate improved quality in the delivery of cash transfers to the poor through a consolidated cash transfer programme. A total of $9.8 million was expended under this Programme in 2013. The Government intends to expand this Programme in 2014 with an increased allocation of $13.7 million. 3) The expansion and refurbishment of the Grenville Market Square. A total of $9.8 million was expended on this Project in 2013. At the end 2013, the Project was substantially completed with the exception of the Bus Terminal. The Government is seeking funding for a Phase II of the Project which will see the finalization of the Bus Terminal and other related works. An allocation of $1.0 million is made in 2014. 31. Without fiscal adjustment, Grenada’s fiscal stance will not readily improve in 2014 and beyond. 32. Having taken stock of Grenada’s fiscal, financial and debt situation, Government indicated its preparedness to take the bold and difficult decisions to put the Nation’s fiscal house in order. This requires Government to undertake a number of fiscal and other reforms aimed at increasing its revenue collections and improving the effectiveness and efficiency of its spending programmes. Accordingly, the Government intends to embark upon a homegrown programme of fiscal adjustment and structural reforms for the period 2014 – 2016. The key performance indicators of the Programme are to be seen in, inter alia, higher economic growth, increase tax effort, lower recurrent expenditures, increased public investments and improved debt indicators. 33. The Budget projections for 2014 are therefore consistent with the elements of the Programme. The Budget forecast strong growth in recurrent revenues and an expanded capital programme to support growth. The 2014 Budget will require the support of donors and creditors to ensure that it is adequately financed. 34. Total revenues are projected at $471.1 million or 20.6% of GDP in 2014, an increase of 7.6% relative to the 2013 outturn. 36. Capital expenditure for 2014 is projected at $261.9 million or 11.5% of GDP. 38. A primary deficit after grants of $44.0 million or 1.9% is projected. 39. The 2014 Budget forecasts a widening of the overall deficit from $108.8 million or 4.9% of GDP to $139.4 million or 6.1 % of GDP. The overall deficit will be financed from a variety of external and domestic sources.